A simple 20 page book with just the "How to's" of Mama Gums' antibacterial program. 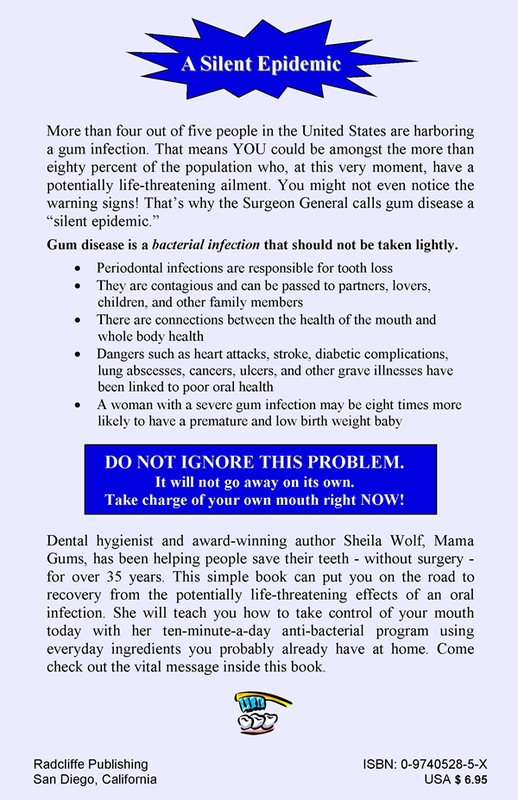 Dental hygienist and award-winning author Sheila Wolf, Mama Gums, has been helping people save their teeth - without surgery - for over 35 years. 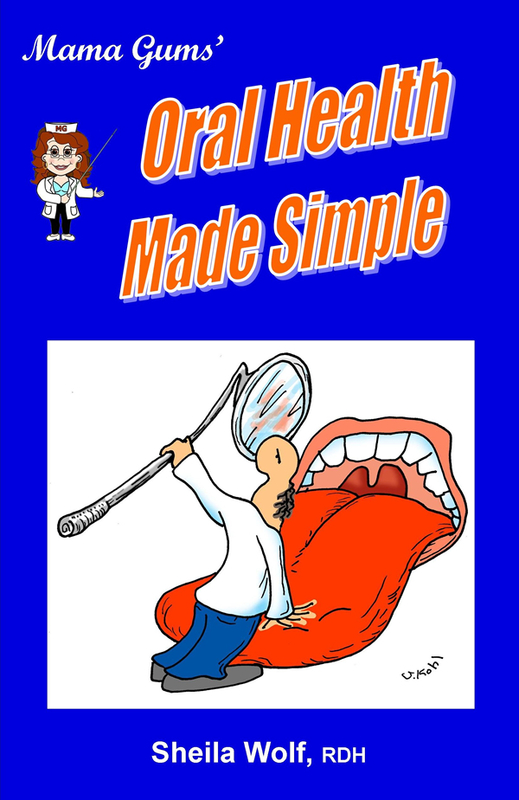 This simple book can put you on the road to recovery from the potentially life-threatening effects of an oral infection. She will teach you how to take control of your mouth today with her ten-minute-a-day anti-bacterial program using everyday ingredients you probably already have at home. Come check out the vital message inside this book.